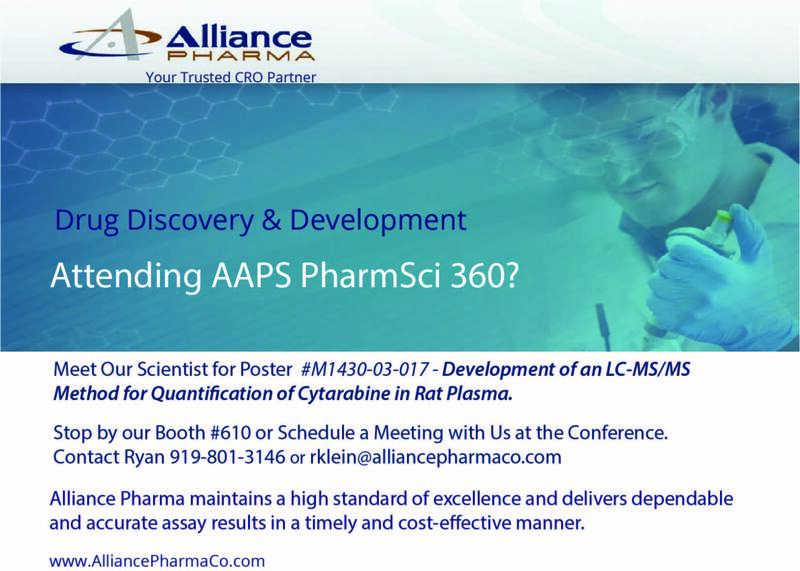 AAPS Poster - #M1430-03-017 - Development of an LC-MS/MS Method for Quantification of Cytarabine in Rat Plasma. Method for Quantification of Cytarabine in Rat Plasma. Stop by our booth #610 or schedule a meeting with us at the conference Ryan Klein 919-801-3146 or email rklein@alliancepharmaco.com. It’s a great opportunity to connect with leading #pharmaceutical #scientists from across the globe! Alliance Pharma is dedicated to bringing comprehensive solutions to our collaborative partnerships. We understand the importance of efficiency and our team of scientists strive to provide the highest analytical services for your project. Our recent purchase of multiple Agilent 6545XT AdvanceBio QTOFs – which is specifically designed with biopharmaceutical characterization in mind - provides high resolution and sensitivity for qualitative and quantitative analyses of biomolecules ranging from peptides to intact monoclonal antibodies. The iterative peptide mapping workflow allows us to dig deep into samples with a wide range of analyte concentrations (i.e. host cell proteins and sequence variants). The Agilent 6545XT AdvanceBio QTOF maximizes our uptime by performing thousands of protein injections without degradation of performance with mass accuracies within 10 ppm for glycosylated intact proteins. At Alliance Pharma we believe keeping up with the latest technology helps us to provide the best services for our clients. 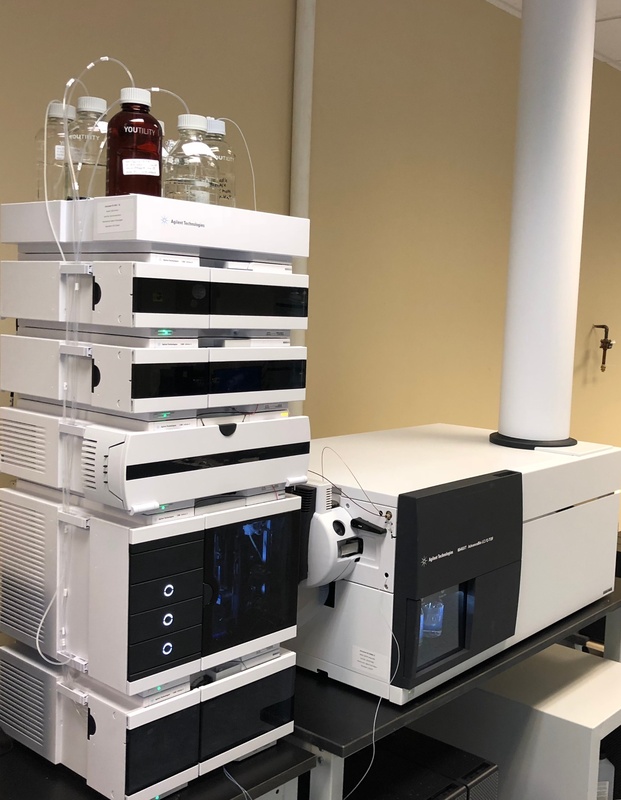 The 1290 Infinity II LC system when coupled with the 6545XT, represents the next generation LC for ultrahigh-performance liquid chromatography with superior reliability, offering efficient and reproducible separations of biomolecules for detection by MS or integrated UV and FLD modules. By using instruments that complement our scientist’s knowledge and experience we meet analytical objectives, increase productivity, and are cost-effective. Contact us to see how our recent instrument purchase will help keep your project on track. Call or email Ryan at 919-801-3146 or rklein@alliancepharmaco.com for more information. 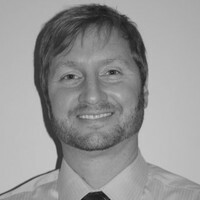 Scientists who specialize in developing mass spectrometric methods know that the methods must be individually tailored to successfully support a pivotal clinical trial or to provide bioanalytical support along any phase of the drug development process. A specific mode of mass spectrometry called multiple reaction monitoring (MRM) is a powerful tool because it uses multiple mass spectrometers in tandem to increase sensitivity and selectivity of analysis, generating the most reliable data. Read on to find out why this matters to experts in the fields of pharmacokinetics, bioequivalence, toxicity, and bioanalysis. Mass spectrometry has the ability to accurately determine concentrations of biomarkers present in human matrices down to nanomolar levels. D-erythro-Sphingosine-1-phosphate (S1P) is a biomarker for certain diseases such as atherosclerosis and cancer. Instrumentation techniques are customizable. Liquid chromatography tandem mass spectrometry has the ability to monitor several different classes of compounds. There are intricate parameters of mass spectrometry that can be optimized for every study. See below how LC-MS/MS techniques have been used to analyze compounds like cholesterol and ManNAc, which are endogenously present in plasma, and goserelin, a synthetic hormone used to treat prostate and breast cancer. 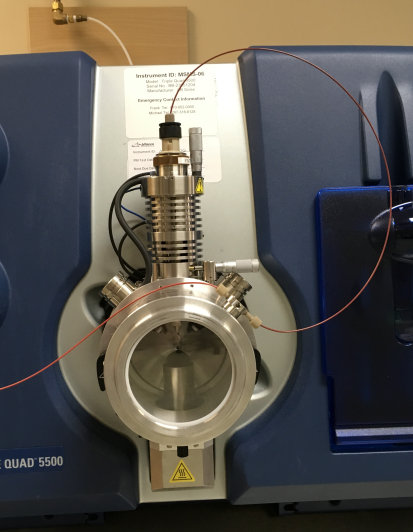 By coupling liquid chromatography with mass spectrometry, concentrations of several compounds in a sample can be achieved in a run as short as 3 minutes. 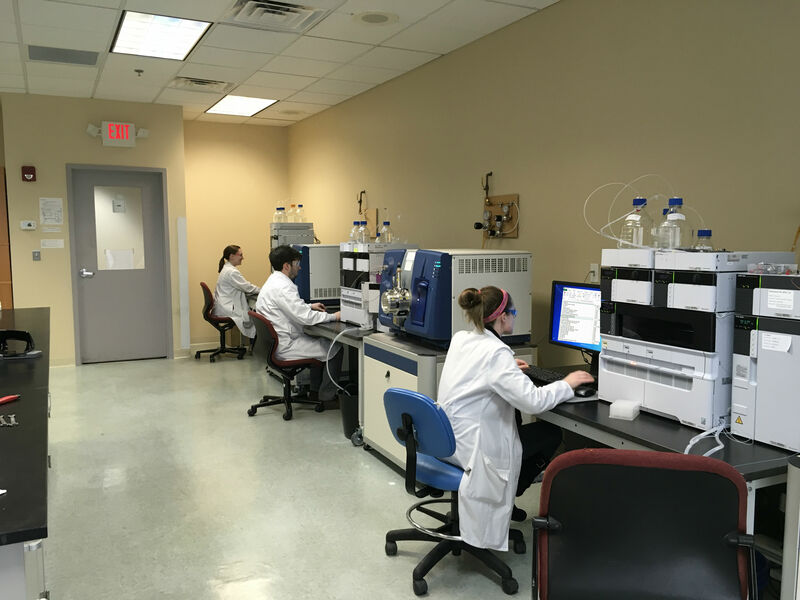 Whether you are interested in analyzing several different drugs or a parent compound and its metabolites, it can be done in the same run making study conduct very efficient. 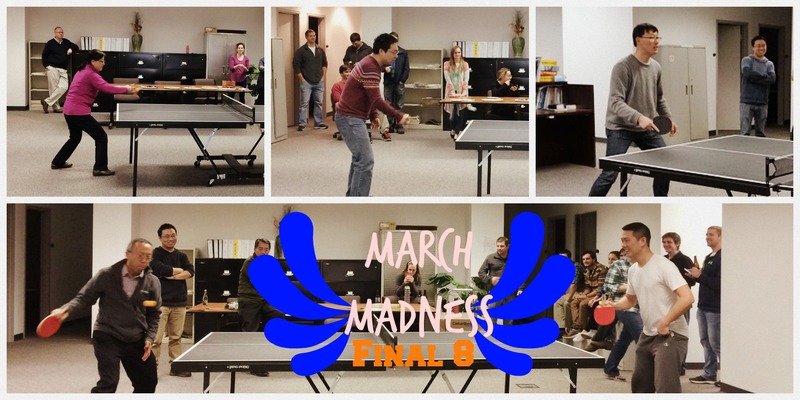 In March, thirty-two Alliance Pharma employees competed in the First Annual Ping Pong Madness Championship. The games commenced at a neck-breaking pace of back and forth and culminated with a title upset that only two bracket participants predicted. 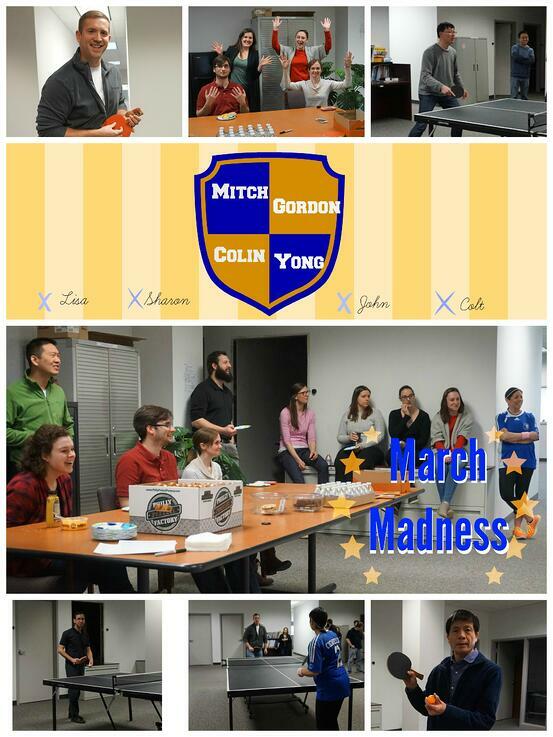 Fierce competition, a pizza party, and a pep rally made the experience a WIN for all employees, even though only one person took home the title of PING PONG MADNESS CHAMPION. Here's a two minute clip from the match. Watch Yong's killer spike as early as 9 seconds into the video! 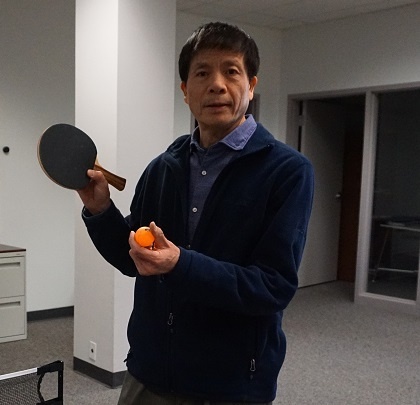 Dr. Lin also attributes his excellent pipetting skills to his ping pong talent. 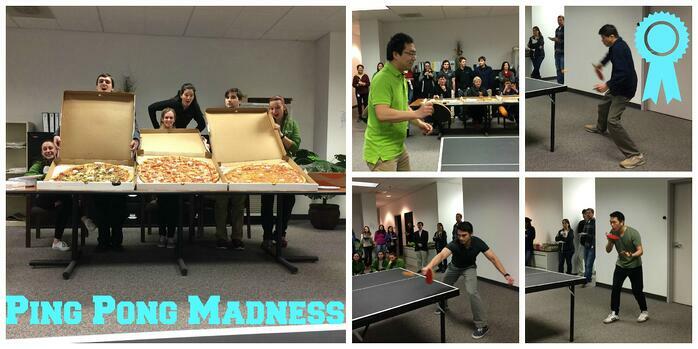 You can listen to the Ping Pong Madness playlist on Spotify. As we approach graduation season, many college seniors are beginning their bioanalytical job search on campus, online, and by networking. Entry-level jobs offered at Alliance Pharma are suitable for students with a Bachelor's or higher in the sciences such as Chemistry, Biochemistry, or Biology. New scientists thrive in this environment, where they have direct access to Ph.D. level mentors in their day-to-day lab operations. Our company also has several career paths with two stages for Analysts and two stages for Scientists and opportunities for advancement. Career Support - Working in a small pharmaceutical company setting gives novice researchers access to more complex and challenging assignments. Mentorship - Alliance Pharma prides itself on the ability to hire young talent and nurture them through the initial stages of lab work. In the video below, Kale Drost (Ursinus '15) and Anna Fiorella (Ursinus '16) share their post-college career experience. They offer anecdotes of working in the bioanalytical laboratory and demonstrate a few scientific study processes. Be sure to listen as to what you can expect in the real world in the words of two Alliance Pharma employees. Include any relevant volunteer work and honors. Use the keywords scientific researchers seek in new hires- LC-MS/MS, mass spectrometry, sample extraction, instrument maintenance, etc. Don't over-exaggerate your lab experience. Keep it to one page, especially if you are an entry-level candidate with a Bachelor's degree. Get to know Alliance by following our LinkedIn page for career postings and frequent updates. We also post job openings directly on our site. Over the years, our scientists have been tasked with a variety of complex LC-MS/MS studies. In their research, they worked to produce cost-saving procedures, deliver reproducible results, and employ automation technologies. Here is an overview of the Bioanalytical study research presented at scientific conferences over the past four years. Click the links to view the full poster; including analysis, details, and conclusions. In this study, an experiment was designed to compare a serial blood sampling method using Mitra™ microsamplers with parallel blood sampling methods using both Mitra™ microsamplers and venipuncture. An automation friendly LC-MS/MS method with a calibration range of 10 to 400 ng/mL was developed and validated to support clinical trials using S1P as a biomarker. A method for the quantitation of HMF and one of its major metabolites, 5-hydroxymethyl-2-furoic acid (HMFA), has been developed and validated in commercially available human plasma by Alliance Pharma. in human urine. Method accuracy, precision, repeatability, selectivity, F/T stability, processed sample stability, bench-top stability, and long term stability have been confirmed. The plasma concentration ratio of 4b-hydroxycholesterol (4b-HC) to cholesterol has been recognized as a reliable marker for the assessment of Cytochrome P450 (CYP) 3A4 activity. It could be a valuable yet simple and cost effective side-product of a clinical study to evaluate CYP3A4-mediated drug-drug interactions. The purpose of this study was to develop and validate an LC-MS/MS method for assaying N-acetylmannosamine (ManNAc) in human plasma (K2EDTA) to support a phase I clinical study. The purpose of this study was to develop and validate a rapid and sensitive LC-MS/MS method for measuring Goserelin in human plasma (K2EDTA). 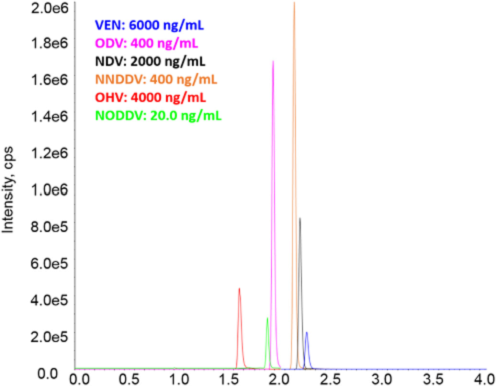 In this study, a sensitive and robust LC-MS/MS method was developed and validated for the determination of 25-OHVD3 in rat serum. Here, we report a LC-MS/MS method that utilizes derivatization with picolinic acid to quantitatively analyze residual mercaptoethanol and has been successfully used in biopharmaceutical manufacture.